Description: This is a more recient picture with unknown date. Your tank is incredible. I gave up on planted tank yrs ago it was fine for awhile than in long run algae would take over even with a zillion water changes. Your tank is great! We are doing the same thing with ours but it doesn't seem as beutiful as yours. I tried to put some photos up of our tank but it sid we needed to make them smaller before we could put them into the gallery, how do you do that? 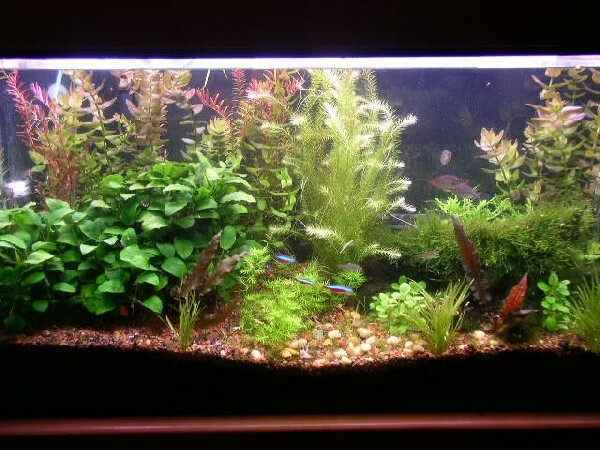 PS we need you knowledge of planted tanks could you please share some. We just had a fish crash.